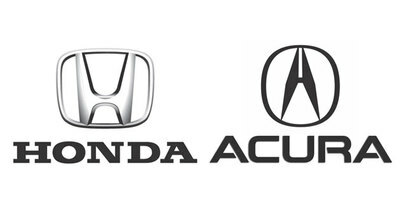 April 12, 2019; Some important changes to the structure of Honda and Acura public relations team. Honda has made a few changes aimed at making our team even easier to do business with, if that’s possible, by clarifying roles and responsibilities and giving greater autonomy to the department for each brand. At a high level, the changes include brand-specific Eastern and Western regional PR contacts and expanded Honda and Acura teams in our Torrance headquarters. Given the unique breadth of our racing footprint we also added to our Motorsports PR team. Honda Brand PR: Steve Kinkade assumes responsibility for leading our Honda brand team from Detroit, with the senior leadership of Jimmy Jenkins in Torrance. Jessica Pawl now is focused exclusively on Honda PR and in charge of the Eastern Region, while Natalie Kumaratne continues to head up the Western region. Assistant Manager Brad Nelson has moved from our tech PR group to join the Honda team and Lynn Seely will focus exclusively on the Honda brand from Detroit. Davis Adams will continue to represent Honda Power Equipment and Marine nationally, while covering Honda autos in the Southeast. Acura Brand PR: Matt Sloustcher will continue in his leadership role of an expanded Acura brand team out of Torrance, with the support of Carl Pulley, Assistant Manager. Andrew Quillin remains the day-to-day media relations and press fleet contact in the Western U.S., with Chris Naughton now focused exclusively on Acura, in charge of the Eastern U.S. The Acura team in Torrance includes Zach Vlasuk and Karina Gonzalez, who move from Tech PR to strengthen the Acura team. Motorsports PR: Chuck Schifsky is taking leadership of a new department that includes our Motorsports PR and Auto Shows activities. T.E. McHale continues to lead motorsports PR activities for the Honda and Acura racing programs, now supported by Viana Mehl-Laituri, who you know from her key role in supporting our product launch activities. Charles Koch continues to head up our Auto Shows & Exhibits group. Lastly, Chris Martin continues to lead safety and regulatory PR, supporting Honda and Acura brands.